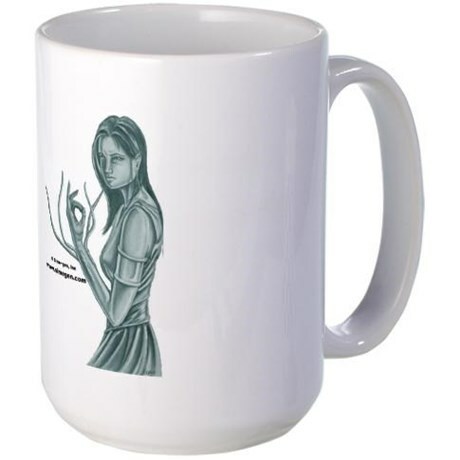 All sorts of merchandise can be purchased through our Cafepress store. Everything from mugs to t-shirts, clocks to tiled boxes. 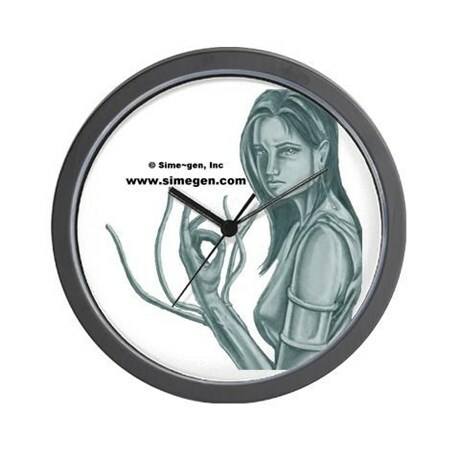 Click any of the sample products to go to the Sime~Gen Cafepress store. 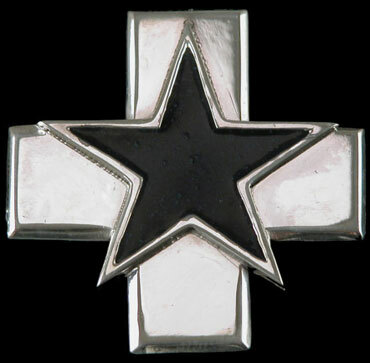 The Starred-Cross is first introduced into the Sime~Gen universe in the first novel that was published, House of Zeor. There it is established that there are way stations, places of refuge for children fleeing for their lives, called Shrines of the Starred-Cross. 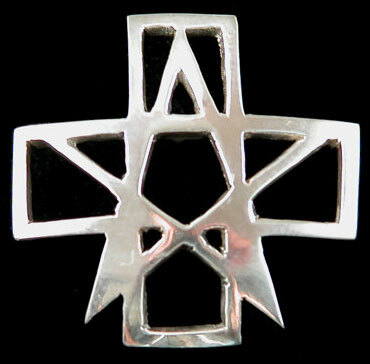 Inside, in addition to basic comforts, one can find a carved medallion starred-cross to take and wear. And the inscription says that if you believe in it, and don't fear, you will be protected. 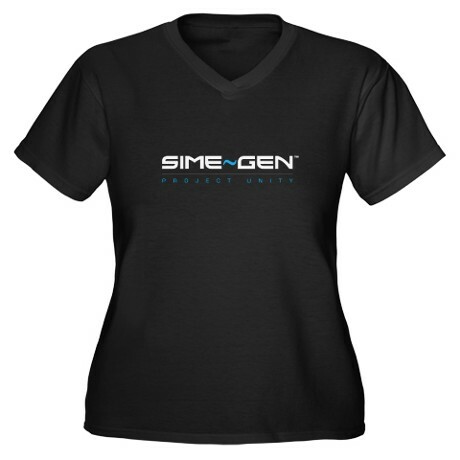 Sime~Gen Inc. and its domain simegen.com, and also the WorldCrafters Guild writing school, are based on the principle that combinations of diverse individuals develop an energy which when released sparks creativity in themselves and the society around them. 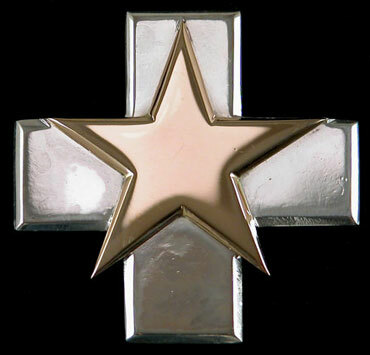 The starred-cross combines of two ancient symbols that have been used by many civilizations, the equal armed cross and the five pointed star. 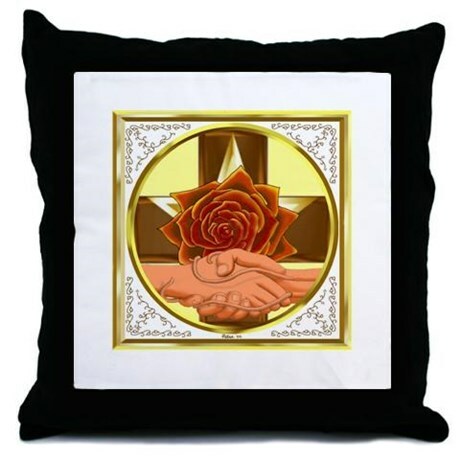 The equal armed cross here represents the Cross of Nature - the joining of any two 'opposites' we find in Nature. 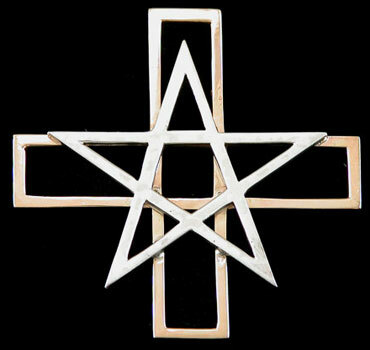 The five pointed star, the Seal of Solomon, with the 5th point directed upwards represents the human being (two arms, two legs and the head upwards) a living spirit. 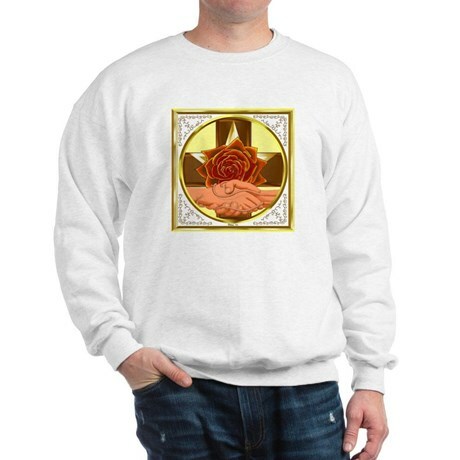 The joining of the two symbols, Humanity and Nature, represents the concept that the human spirit is inextricably intertwined with Nature, that humans are a part of Nature, and that the creative spirit within us is a part of Nature. 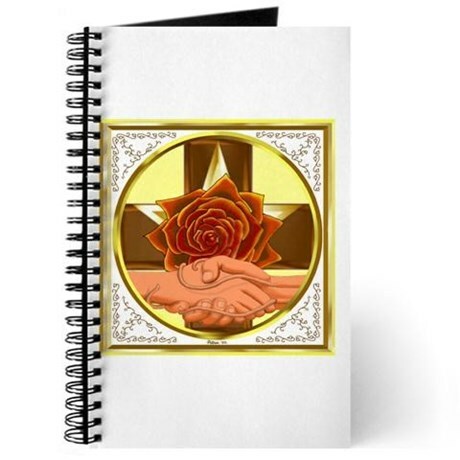 Thus this symbol represents the kind of individual and personal Peace that a human can achieve when deeply attuned to his own Nature, not having overcome fear with courage, but having discovered there is nothing to fear. The theory is that such an individual will generally exhibit more compassion for others than when at war with himself.